If you don't find the answers you're looking for, head over to our support page. Which platforms does Kyno run on? What languages does Kyno support? Currently we have internationalizations for English, German, Spanish and French. The language of the user interface will be set to your operating system's language setting by default. You can also change the language in Kyno's preferences. A change of language will require a restart of Kyno for the changes to come into effect. Where does Kyno store its data? The most valuable data - everything you add, like ratings, tags, text metadata (title, description, scene, shot etc. ), markers, subclips - is stored in XML files in hidden directories located in the same directory as the media file they belong to. This makes it easy to share and move around folders while keeping all the metadata you added in Kyno intact. Also see Does Kyno write the metadata I add into the files? Does Kyno write the metadata I add into the files? We might revisit this in the future. Let us know if this poses a problem for you and why. Also take a look at Where does Kyno store its data? Will Kyno support RAW formats? Yes, we are currently looking into integration of RED Raw, ARRI Raw and Adobe DNG as produced bei Blackmagic Design cameras, but cannot give you an eta yet. Is Kyno a Media Asset Management System? Well, sort of. Many of the features like tagging, descriptive metadata support and filtering give it a MAM kind of feel but its scope is currently rather a very light-weight support of production processes rather than long-term archival, although people may still find it useful for that as well. The main point is, that is is much more light-weight than typical MAMs because it does not require an import/ingest step before you can do something useful with your material. That means there is not really a concept of "inside" or "outside" of Kyno, which also means there is no global search of all content Kyno has ever seen. Are you planning on making it a full-fleged MAM? Let's say, that at the moment we do not exclude that possibility but there is no roadmap for it. Can I bookmark frequently used folders? Yes. You can do that by either dragging the folder into the workspace section or using the menu above the tree (cog icon) and select "Add folder to workspace". 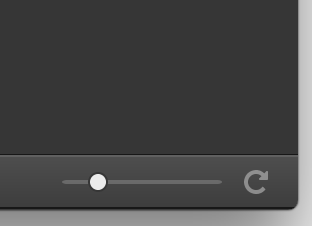 This is essentially like a bookmark or favourite in Finder. The great thing is, you can even do that for removable drives/sd cards and when you disconnect the drive, the bookmark will remain in the workspace tree and become disconnected and then become reconnected automatically once you reconnect the respective drive. Does Kyno manage sound libraries? Yes, it does. We are still working on visual waveform support for the player but some of our customers already use it for organizing massive sound libraries and for subclipping and batch conversions. Select Kyno and choose "Uninstall"
Which formats doesn't Kyno support? Currently we have no support for raw video formats like RED Raw, ARRI Raw, or Adobe DNG as produced bei Blackmagic Design cameras. We do have plans to offer raw support in a future version of Kyno. Why doesn't Kyno display all files in the browse view? It is a conscious decision to not show everything but restrict it to video, audio and image files because we do not strive to be a finder replacement but a tool focused on certain types of media files. We know this is a grey area and that in some cases it would be nice to also see project-related (e.g. word) document, so we may revisit that in the future but not likely very soon, so don't hold your breath. However, if you run into a certain video, audio or image file type, we do not display, please report this and in most cases we will try to fix it. Can I use Kyno's single-user license on more than one computer? Yes. You can install Kyno on multiple computers for use by one person using a single-user license. You can even install it on both Mac & Windows machines you own with the same license. You are not allowed to use it on multiple computers at the same time or by different persons. If Kyno detects another Kyno instance running with the same single-user license, it will refuse to start. So nothing keeps you from using it on your laptop when you're on set and later on your edit station in post with one single-user license. We split up Kyno releases into regular updates and bug-fix updates. You’ll always be entitled to a bug-fix update for your last version, even after your license has expired. Your license is valid for a year from the date you purchase it. For example, if you purchase your license on 4th April, 2018, you’ll get regular updates until 4th April, 2019. To receive updates after that date, you’ll need to renew your license. We've changed and simplified our license mechanism with Kyno 1.5.5, but the transition can be a little confusing. If you've purchased your license after 2018-11-07 you should have received something called a "serial number" - a short code of the form KYNO-XXXX-XXXX-XXXX-XXXX-XXXX. To activate your license with a serial number you need to download the latest version of Kyno, enter the email address you purchased with along with your serial number. If you've purchased before 2018-11-07 you should've received a longer code called a "license key". In Kyno versions 1.5.5 or later you need to click "I have a legacy license key" in order to enter that longer key along with your name. Make sure to spell the name exactly as indicated in your license email. If you don’t want to renew your license after it expires, you can continue to use the version of Kyno that you have, for as long as you want, but you won’t be able to receive any further updates. If you decide you want to renew at a later date, that’s fine — you’re welcome back at any time. You can read Kyno's End User License Agreement here. The EULA is a legal contract between Lesspain Software, the author of the software application Kyno, and the user of that application. Not all metadata gets transferred to Premiere Pro. Why? Kyno currently only relies on FCP7-XML to transfer metadata to Premiere Pro. Some metadata is either not supported by FCP7-XML or Premiere expects it to be in XMP, either embedded in the file (for certain formats like mov, png) or as a sidecar file (e.g. for MXF). We are working on a full XMP metadata integration with Adobe Tools like Premiere Pro. We'll announce it, once it is in place. The FCP-XML files exported by Kyno do not work with DaVinci Resolve. Why? DaVinci Resolve currently only imports sequences and unfortunately has no support for just clips with metadata. We are waiting for Blackmagic Design to open Resolve up to this kind of integration and will make sure, the integration of Kyno with Resolve will be as smooth as can be, as soon as it's possible. How do I send you a sample file for a bug report? Being able to reproduce a problem with a concrete video-/audio-/image-file helps us a lot in understanding and fixing a certain problem. Send us the smallest file you have that exposes a certain problem and send it to us via a cloud or transfer service such as Dropbox, Google Drive, Amazon, Mega, WeTransfer to the email address support@lesspain.software. Also let us know, if there are any restrictions regarding the use of the file, i.e. if we are allowed to use the file for internal testing in the future. I have a video/audio file that the tool does not play, display metadata for or simply does weird things with. What do I do? Please file a ticket describing what exactly does not work with the file and make a sample available, if possible. If it’s officially unsupported, you can always ask us to support a given format. Your chances for that to happen are increased, if you provide a sample file, we can use for testing. There are no guarantees however. There may be specific reasons why it is not supported. I need to move my installation to another computer. What do I need to do? Restoring from a Time Machine backup should always work. If you have to move the application manually, be sure to copy the directory <user home>/Library/Kyno from the old computer to the new one for all user accounts that used Kyno. See also: Where does Kyno store its data? If Kyno doesn't start at all or displays a nasty looking error dialog at startup, you should contact support@lesspain.software for help. When contacting us, please include a copy of your log files in your email so we can analyze the problem straight away. Zip all files or the whole folder and attach it to your support email and we'll get back to you. A media file does not show up in Kyno but I know it's there. What can I do? To fix this, first try to hit the refresh button in the bottom right corner. hit the "Clear temporary data" button. I moved my files to another place in Finder and now my ratings, tags and markers are gone. What can I do? Kyno keeps this kind of metadata in a different place and if you move your files outside of Kyno, it loses the connection between the files and metadata. Move the files back and then move them again in Kyno. We are also working on solution to allow you to reconnect the metadata with the files within Kyno. This is just a security mechanism that kicks in to avoid unlimited load on drives. There is a maximum of what one indexing run indexes. You can increase that in Preferences under Advanced - just push up those numbers. My RED RAW, ARRI RAW, Sony RAW, Blackmagic Design RAW footage doesn't seem to work in Kyno, why? Kyno doesn't have any raw support at the moment. We do have plans to offer raw support in a future version of Kyno. Something weird happens. What do I do? Software product of the year 2016.